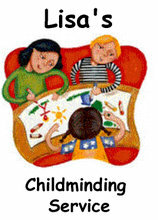 As a childminder, I can offer greater flexibility because I work from home. If you have unusual hours, special needs or irregular work patterns, childminders are often the best option and I am willing to work around your requirements. I will happily cater for a varied shift pattern or for early starts and late finishes – if you are running late and let me know I can continue you to care for your child until you arrive. As a childminder, I have the advantage of being able to offer good quality care for children in a secure, loving, home environment – “A Home away from Home”. As a registered childminder, I can care for children from birth until the age of 16, offering an unrivalled continuity of care. Caring for a low ratio of children to childminder, I can ensure that each child receives the individual care and attention that they need. They build a strong relationship with me and the other children in my care and brothers and sisters can be cared for in the same setting. Children in my care not only learn through play but also by taking part in everyday activities both in the house and in the local community.